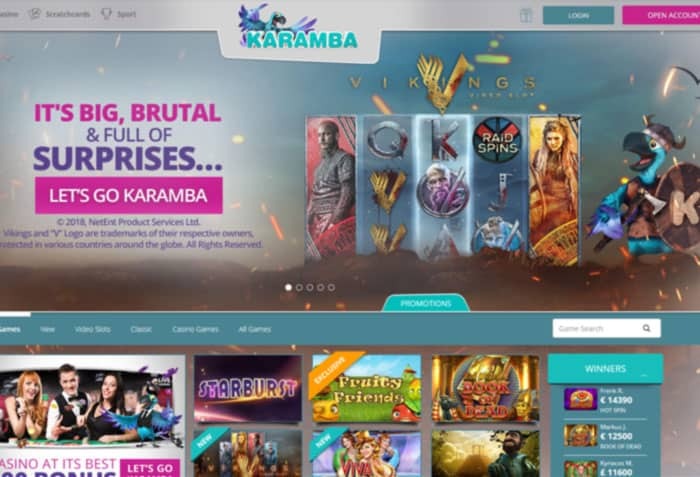 Karamba NZ Casino Review 2019 - 20 No Deposit Free Spins + $200 Bonus! With a catchy name, nice welcome bonus, and a really extensive selection of games, Karamba Casino simply invites players to enjoy their time and have loads of fun. The colorful background and many attractive elements on the site will have you instantly hooked to Karamba. What’s even more important is that the casino isn’t just bell and whistles on the surface because once you start digging deeper, they really manage to deliver on the promise of great fun. Claim an exclusive 20 free spins on the pokie Starburst when you register an account at Karamba Casino, no deposit required. Register your account here or click on the button below. You now have 20 free spins that are available to play Starburst. Karamba offers a 100% up to $200 casino bonus + 80 Free Spins on Starburst when you make your first deposit. Your casino bonus plus 40 free spins are credited instantly. The remaining 40 free spins will be credited the following day. The 100% casino bonus must be wagered 35 times before withdrawal. The free spins must be wagered 50 times before withdrawal. The maximum amount you can withdraw from the 20 No Deposit Free spins on Starburst is $100. When playing with an active bonus, the maximum amount you are allowed to bet per spin/hand is $5.5 or 15% of the initial total bonus amount. Karamba Casino was established back in 2005, so they have been around for well over a decade. This kind of longevity is usually a very good first indicator in the online gambling industry. Not too many sites can stay up and running for 10+ years and continue to have a good rapport with existing and continually attract new players. Karamba is licensed by the Malta Gambling Authority (MGA) and the United Kingdom Gambling Commission (UKGC), so they are able to cater to international players and players from the UK alike. As already mentioned in the introduction, the site is designed in a lighthearted and fun way, with their mascot, a funny colorful parrot, ready to take players on an exciting adventure. Slots players will probably be especially excited about the fact the casino gives away weekly free spins on some of the highest paying games around. Combined with all other different promotions, this one really helps Karamba Casino stand out from the crowd and get them ahead of the competition. Following on modern trends in online gambling, Karamba Casino also offers the live dealer section. Their live tables are powered by Evolution Gaming, a company that’s been the absolute leader in this particular sector, so high-quality and enjoyable experience is guaranteed. 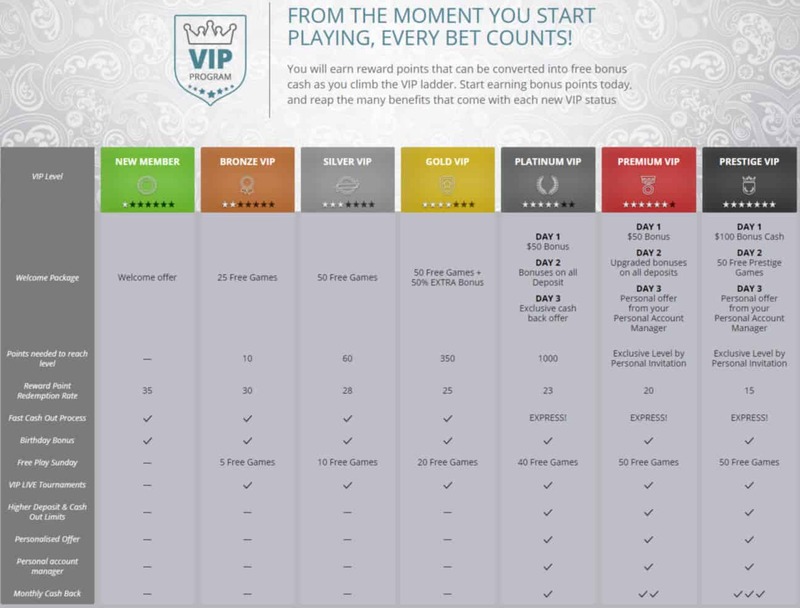 Karamba Casino features a tier-based VIP Loyalty program open to all players. Everyone starts on the first, New Member level, and moves up based on the amount of play. There are seven tiers in total, with the Prestige VIP being the highest attainable level. Reaching the next loyalty level will earn you special rewards such as free spins and cash bonuses. Additionally, all points accumulated along the way can be exchanged for cash. The redemption rate depends on the player’s VIP level, with Prestige players getting the best rates. For those who prefer to enjoy their gambling on the go, Karamba Casino offers a simple and very convenient mobile solution. Players can access Karamba Casino mobile using internet browsers on their phones and tablets by simply visiting the site. No download or installation is required. A majority of games offered on the desktop site are also available for mobile so you won’t really be at any sort of disadvantage when playing on the go. This includes the live dealer section as well, which has been fully optimized for mobile play. In addition to all this, players are also able to enjoy all the different bonuses and promotions when playing from their mobile devices, as well as make deposits and request withdrawals, ensuring a truly enjoyable and fully rounded mobile gaming experience. Karamba Casino offers an extensive list of deposit methods, which should cover most players’ needs and requirements. The same goes for withdrawal options. In general, withdrawals take between three and eight days, depending on the method used. At Karamba Casino, customer support is available seven days a week but they aren’t around 24 hours a day. Support agents are there between 06:00 and 23:00 GMT. You can reach out to them using live chat and email.